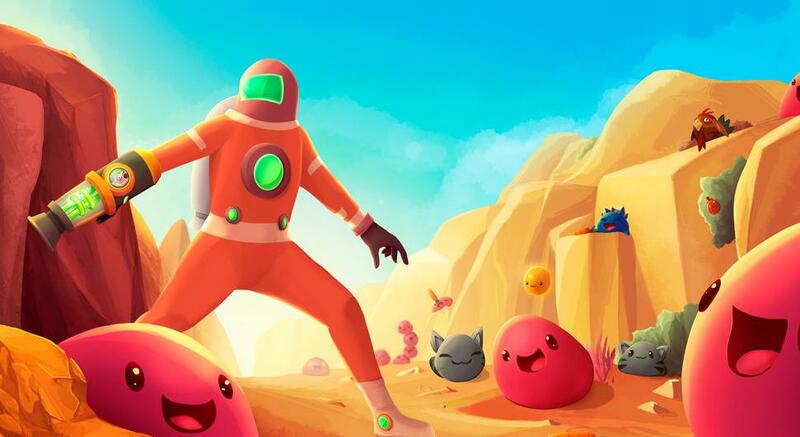 In this guide I will show you where to find and unlock the Spring Pad in Slime Rancher. How to Ranch a Gold Slime. All Gilded Ginger Locations (Map). Firstly go to the grotto on your ranch. When inside go to the hole directly in front of you on the other side of the grotto. When outside next to the teleporter on the other side of the hole, turn left and make your way across these islands. After jumping over the islands you will find steps, make your way up the steps and you will see the blue Treasure Pod that contains the Spring Pad. You need Treasure Cracking Level 2 to open this Treasure Pod. Here is the location on the Map. Press M to open the map. This is the Spring Pad in-game. Remember to craft these in the Slime Lab. You can craft the Spring Pad in the Lab. You can place the Spring Pad around the ranch and far far range. The spring pad can bounce you and any other objects and slimes.